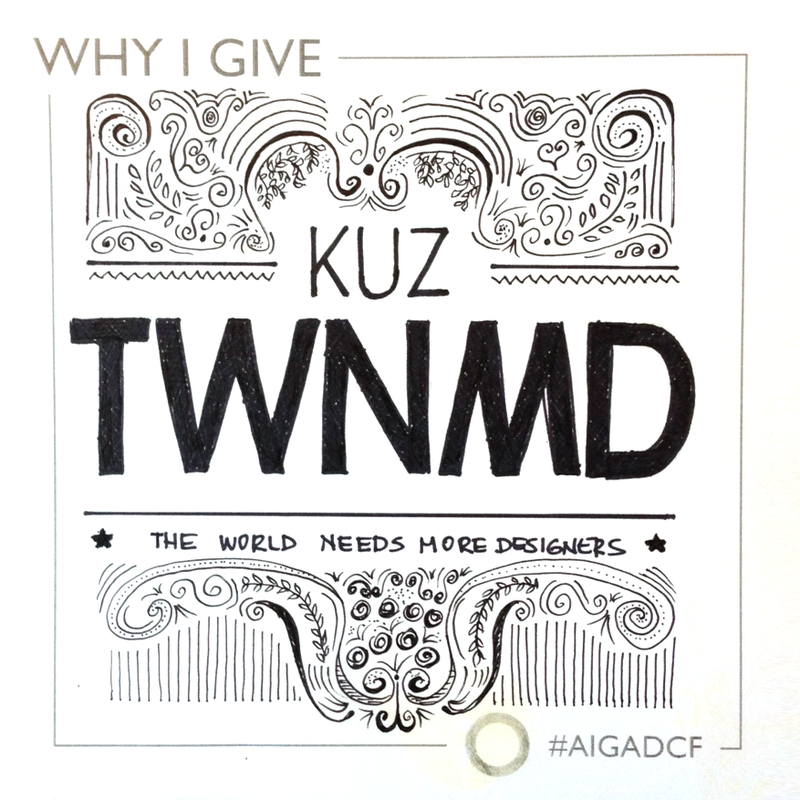 “Why I Give” is a series of interviews with the AIGA DC Design Continuum Fund donors about their reasons for supporting and their perspectives on the role secondary education played in their careers. The AIGA DC Design Continuum Fund was established in 2007 to support aspiring designers and creatives in fulfilling their higher-level education goals. After aiding eleven recipients, we wanted to know more about the donors who give to the Fund year in and year out, and helped work towards establishing an endowment. Their donations and the financial support of our community are helping another generation of designers through college! 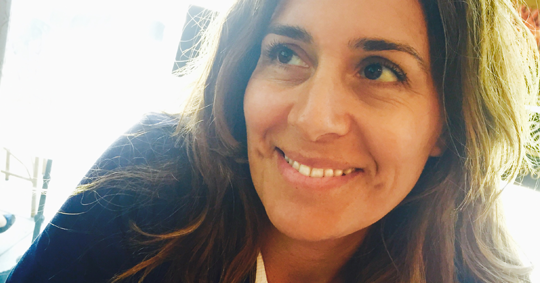 Cecilia Cortes-Earle is a Senior Art Director at ASAE: the Center for Association Leadership and a donor to AIGA DC’s scholarship initiative, Design Continuum Fund. In early September, we sat down together at her office near McPherson Square to discuss her experiences working in the design industry for the past 20 years and why she made the decision to support the Fund. How did you find out about AIGA DC’s Design Continuum Fund? CCE: I have been a member of AIGA since 2003, and I like what they do, I relate to [their mission] a lot. I wanted to get more involved, so I thought volunteering as a board member would help. On top of that, I am very interested in continuing education and mentoring, so volunteering with the AIGA DC Design Continuum Fund seemed like a good position for me on the board. What made you decide to not only contribute your time and effort to the Design Continuum Fund, but to also make a financial contribution? CCE: I’ve always loved my association [AIGA] because of the things they do for the profession. With that in mind, and being interested in education and mentoring, the AIGA DC Design Continuum Fund offered the perfect way to give back and support something I really believed in. I feel comfortable donating because I know it is going to good people and in a good direction. The recipients are very impressive – I have met many of them and they are very passionate about design. That is one thing we consistently keep hearing, that the recipients of the Design Continuum Fund set the bar really high. Can you tell me a little more about what makes it different from other scholarships and programs to you? CCE: To me, it’s the fact that it’s targeted to design students. Its structure feels simple and small-scale, which makes it more appealing and makes me feel closer to it. The students who get the grants – they don’t just get money, they also get involved with events and [meet] the board. It’s a great way to get exposure, and I think that makes it different from other programs. It might be hard for a student who is applying to visualize what this means – to get a community behind you and [access to] networking – but that’s what it really is and you sort of get to be the face of the AIGA DC Design Continuum Fund. It’s a great opportunity. It’s not just about the money – it’s about the support. “It takes a village,” so they say. So, we’ve talked a lot about the DCF today, can you tell us something we might not know about you? CCE: I had to restart my career in design at age 30 when I arrived to Washington D.C. because “I didn’t have experience designing in the U.S.” Nobody would give me a job. It took me 2 years [from moving to America] to my first full time job. Did you ever think about switching careers during that time? CCE: There was a time but I stuck with it and had to get some odd jobs here and there. It took me a while to get that first job. I started out freelancing, then part-time, then I was able to get a full-time job – it was baby steps. Any advice for young designers out there who may hope to receive a DCF grant in the future or may just be starting out? CCE: Not to quit. There was a time when I was a student when I was feeling a bit discouraged and thought I was never going to make it as a designer. I kept thinking that there were better designers than me and that design was not for me. I mentioned it to one of my teachers and she told me to continue because I was good. She didn’t say much, but the fact that she was my teacher and she said it, gave me extra motivation to keep on going. I learned that good design and creativity come from persistence: practice, practice, practice. Liz Rose Chmela is an AIGA DC Design Continuum Fund committee member and the owner of Made x We.